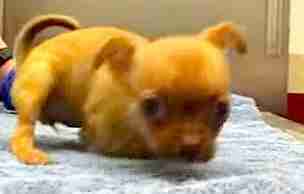 A tiny puppy who would come to be called Daffodil didn't understand why she was left in a cardboard box in busy downtown San Francisco. She waited and waited as cars sped past and as people walked by. At least once, someone picked her up, looked at her and put her back down again. See, Daffodil was born a little differently - she never grew two front legs, so she had trouble moving around. She had even more trouble finding someone who would love her unconditionally. 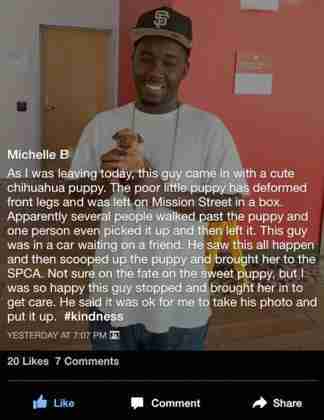 But a man named Jene, who saw several people walking indifferently by the slightly different puppy, decided he had to help her. 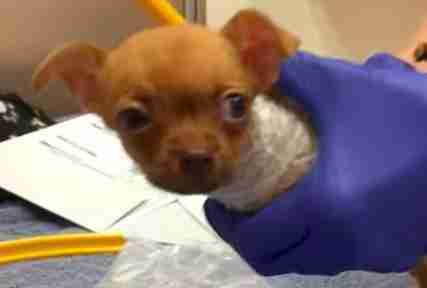 He wrapped Daffodil in his t-shirt and took her to get help. That's how things began to finally turn around for the little abandoned dog. Daffodil came to the San Francisco SPCA. There, she got more help than she could have ever imagined from the cardboard box where she'd been abandoned. 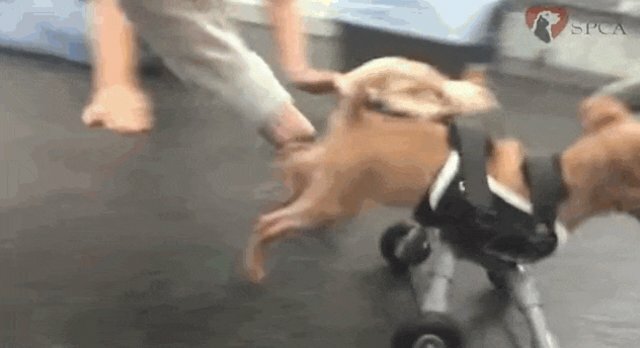 Experts created a little wheelchair made just for Daffodil. The moment she delightfully - and a little clumsily - zooms around on her new wheels for the first time is totally priceless. As she was getting used to her new movements, Daffodil was fostered by a staff member at the SPCA while waiting for a home. 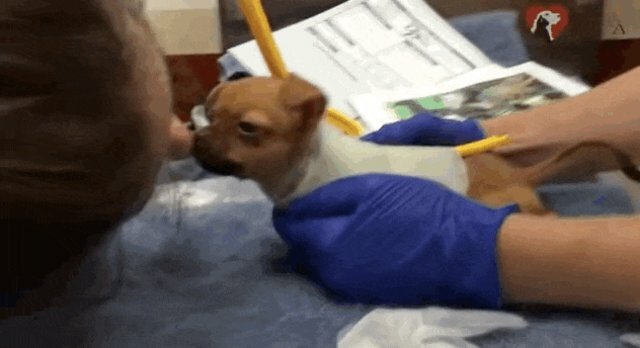 Meanwhile, a woman named Olivia at the prosthetics company was falling in love with Daffodil from her home in Colorado. At last, she decided to ask if Daffodil had a forever home - and Olivia was pleasantly surprised. Olivia flew to San Francisco to bring the little dog who'd been left helplessly in a cardboard box to her new life, full of a love that was unconditional. And she deserves no less than that. Learn how you can help the San Francisco SPCA here.